Celebrate Black History Month by learning about soul music and the history of African-Americans in pop music, all in this soulful worksheet! Meet Etta James, a legendary African-American singer of soul and jazz. Your little musician can read a mini-bio and answer some trivia. The leaves are changing color and falling from the trees. Fall is in the air! Your child can rake up knowledge by searching for words related to autumn. Get to know John Coltrane, a jazz legend, with this music history worksheet! Read his mini-biography and answer some trivia. 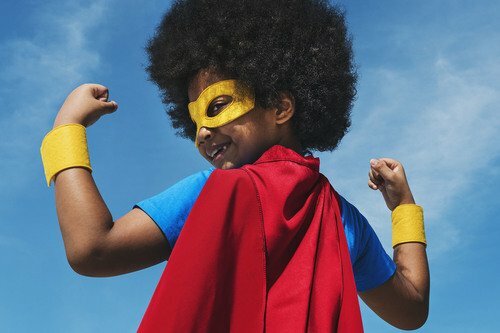 In this activity, your students will research a favorite superhero and discuss which of their powers are real and not real. Your students will be able to complete a simple research chart and graphic organizer. Read up on a historical hero from 20th-century America! Your student will learn about the history of the labor movement and the life of Cesar Chavez. Find out all about the gorgeous mountains, delicious food and unusual national animals that make Peru such a unique and wonderful nation. Take an imaginary trip to a country that loves baseball, boxing and basketball. It's not America -- it's the Dominican Republic! What do you know about the wonderful country of Guatemala? Find out how the country got its name and what the people like to do for fun! Learn to extract information from sources with this handy worksheet, perfect for Little Leaguers and baseball fans.